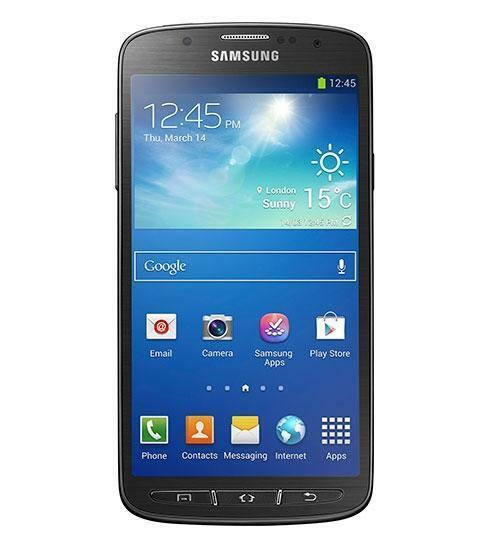 The Samsung Galaxy S4 Active is the latest in Samsung's Galaxy S line of Android smartphones. The Samsung Galaxy S4 Active is very similar to the Samsung Galaxy S4, but features rugged and waterproof characteristics that are perfect for someone with an active lifestyle. The Samsung Galaxy S4 Active features a large 5-inch Super AMOLED touchscreen display, 8-megapixel rear-facing camera with 1080p HD video recording, 2-megapixel front-facing camera, 4G LTE connectvity, NFC mobile payment technology, intelligent smart scroll, and Samsung Air View, which allows users to view photos, open apps, and take calls without having to touch the phone. The Samsung Galaxy S4 Active comes in with 16GB of storage, but has expandable memory up to 64GB. Samsung Galaxy S4 Active dogfight, The Tech Inside, and more! Samsung Galaxy S4 Active Unboxing and First Look!